Weight loss and L-carnitine have gone hand-in-hand in the energy drink world for the past few years. Since the 1980’s, carnitine supplements have been among the most popular choices for weight loss. 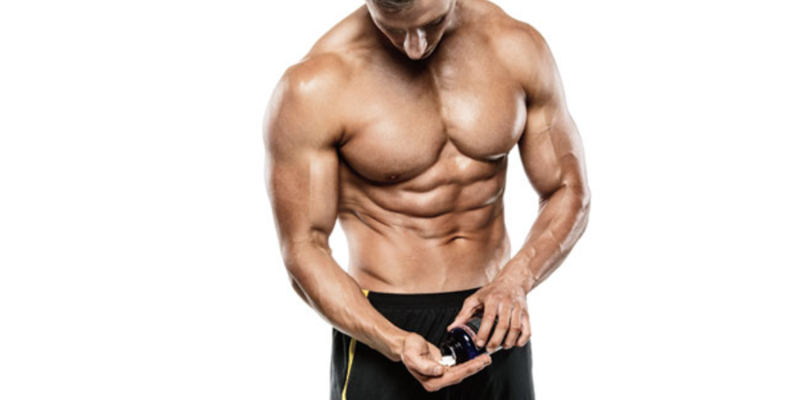 This wonder compound is said to not only boost fat oxidation and consequently help in losing fat, but it also boosts recovery, lessens muscle stress, and even enhances memory. But how does L-carnitine really work and is the supplement truly effective in losing unwanted fat? L-carnitine is the active form of the amino acid derivative carnitine. It’s naturally produced by the body via lysine and methionine. L-carnitine is involved in energy metabolism and mitochondrial protection. This compound is produced in the body, but it can also be consumed through supplements and natural sources like animal-derived products, such as white and red meat and fish (high carnitine source) and milk (low carnitine). L-carnitine has a considerable impact on the mitochondria, the energy-producing structures in our cells, specially in the muscles. L-carnitine is responsible for the transportation of fats into the cells to be broken down into energy for the body. By raising the levels of L-carnitine in the body, it makes for a potent fat burner by supporting the fat-burning process. With that being said, L-carnitine hinders the uptake of triglycerides and low-density lipoproteins into the systems. These two compounds are the primary causes of visceral fat and, if left to accumulate, can cause high cholesterol levels and atherosclerosis. When we exercise glycogen is taken from the inside of muscle cells and broken down into glucose and then enters our bloodstream which carries into the mitochondria. Enzymes like L-carnitine come into action and start to break down stored fat into fatty acids and glycerol to be used as fuel throughout the exercise. L-carnitine supplementation allows the body to spare glycogen by utilizing more fat. Sparing glycogen is a superior technique for improving endurance performance as it allows you to both use fat and glycogen to fuel exercise, allowing you to train harder for longer thus making it a popular pre-workout drink. By raising the carnitine level it allows the body to have a greater work capacity as it is found to delay the time it took to reach the anaerobic threshold by using the body’s aerobic energy system more effectively. Thus fatigue occurs later and the effectiveness of the performance is enhanced. It is considered an extra source of energy for your cells during intense workouts. You’ll be able to run faster and longer, lift more weight, and complete more reps with ease. It has been proven that carnitine can help improve physical performance by decreasing muscle damage and the markers of metabolic stress. It decreases muscle pain and damage by decreasing lactic acid production. As we age, our carnitine levels drop and mitochondrial function becomes impaired. These conditions may lead to a number of adverse effects such as low energy, low muscle density, poor concentration, and heart disease. Carnitine is also promoted as a treatment for many disorders, including heart disease and diabetes. The supplement is also said to boost energy, improve memory, and promote weight loss. Red meat is one of the highest sources of L-carnitine. It can also be found in seafood and chicken and dairy like ice cream, milk, and cheese but at much lower levels. L-carnitine is also sold over-the-counter as a medicine to treat carnitine deficiencies. Since L-carnitine is a natural nutrient, it can be used long-term without worries of adverse effects to your heart, liver, and kidneys when compared with other chemical means of fat loss and energy boosters, such as stimulants. With that said don’t expect L-Carnitine to magically melt all the fat in your body. While much of it is excreted when you pee post-workout, your body slowly builds muscle carnitine levels after a couple of months of regular intake. And the more carnitine your body has the more efficient it gets in burning fat. As for the dosage, aim for 1-3gm of L-Carnitine daily.